The series “At Night” by photographer Andreas Levers tries to show everyday urban spaces in artificial lighting. The dense fog amplifies the effect of the light sources and hides the environment. This way the places lack context and complexity, making them familiar but a little bit off-key at the same time. I like to capture photos of urban spaces, especially non-places as described by Marc Auge and Robert Venturi. After spending a few years with natural light I tried to find a new visual approach to those. After some experimentation the dense autumn fog was the most interesting approach. There are a lot of inspiring photographers at Flickr and Behance where I post most of my own pictures. Any list I could compile would be incomplete and my favorite photographers change quite frequently. Right now I really admire the work of Matthias Heidrich. Among the big names in photography I like the photos of Thomas Struth, Andreas Gursky and Candida Höfer. My style is not yet completely settled. Regarding the composition I try to avoid needless distractions and detail on the one and oversimplification at the other end. In editing I focus primarily on color grading to achieve an artificial and distant look. It is more about the representation of my perception than trying to create an authentic realism. (1) Find people that are interested in your creative field who are honest with you. Their constructive criticism is far more valuable than loads of attention and likes. (2) Go through your previous work frequently and identify the things you did earlier that you still like today. From this selection: Try to find the common factor and build upon that. (3) Don’t force it. If you can’t get there in intuitively do something else and return later. (4) Go to museums and exhibitions a lot. The context is important to appreciate the art and there are many things that diminish on the screen. I use Olympus OM-D cameras and lenses for the shots and Adobe Camera Raw for the editing. 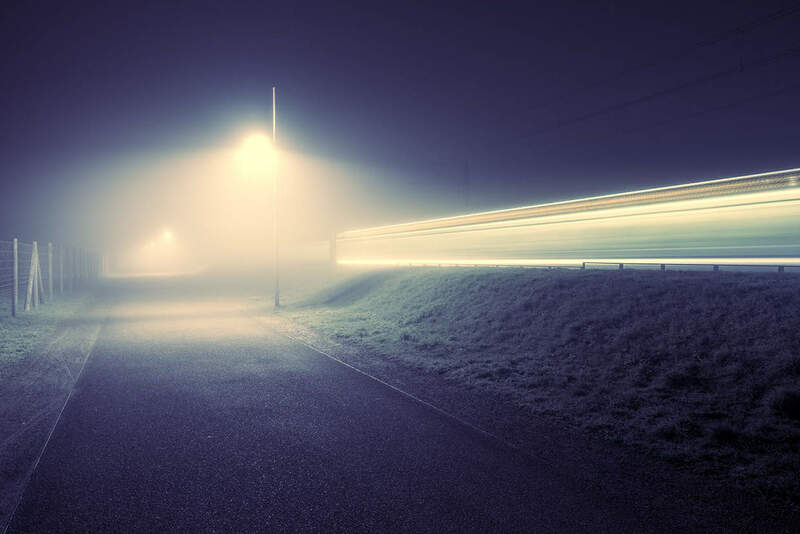 Andreas Levers is a 36-year-old photographer currently based in Potsdam, Germany. He work as media designer in the advertising industry and got into photography through his occupation with image editing. After some experimentation in different genres of photography he focused primarily on architecture. See more of his works on Behance or his website. These shots are phenomenal. They have a very “eerie” look to them and are so aesthetically pleasing to look at. I love it! This is awesome! Amazing details!